It’s time for a radically, mind-blowingly different take on Leadership. No, you haven’t heard it all… YET! 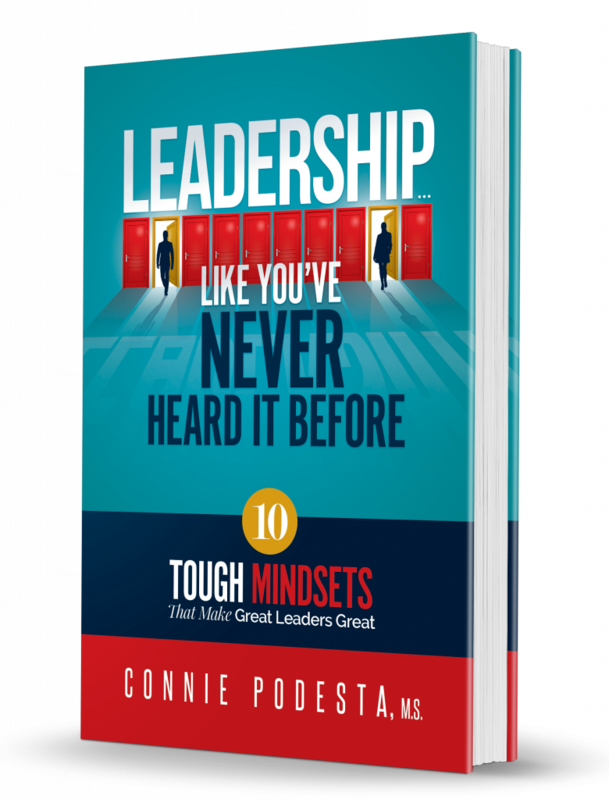 Let Connie Podesta provide you with a rare, inside-out view of business success by traveling non-stop to the intersection of leadership and psychology. You’ll explore the unique behaviors, winning attitudes, and tough mindsets adopted by the world’s most powerful executives. With decades of experience as a leadership strategist, human behavior expert, Hall of Fame Speaker and award-winning author, Connie tells it like it is. What works. What doesn’t. Where the pitfalls lie, and where the opportunities are abundant. And how to be the StandOut leader others are genuinely clamoring to follow. There’s no shortcut to this. If you’re a leader, you know the real effort involved. It takes knowledge and training. Compassion and creativity. It’s a roll-up-your-sleeves, dig-in, set-the-example, be-authentic process. It’s also the key to unlocking your team’s potential for greatness. Investing energy in learning how to realize your full potential as a leader holds the promise of a huge pay-off. It’s game-changing, revenue-building, and convention-defying – not just for you, but for your customers, employees, colleagues, and your organization. Get ready to lead like you’ve never lead before – it all starts right here!